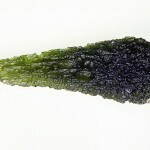 Check this large moldavte with shape of teardrop. 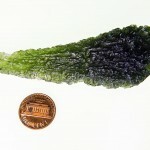 The moldavite comes from deposit Chlum and was mined a few years ago. The shape is really nice, but isn’t perfect. 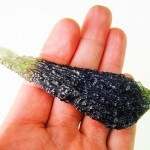 The lower part (belly) isn’t complete – was naturally divided a lot of years ago – probably during genesis of the moldavite (14.3mil years ago). The top part is little chipped (damaged during mining). 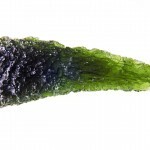 ← How to make various moldavite jewelry?